Alberta Main Street advances efforts to develop Alberta Street as a vibrant, creative, equitable and sustainable commercial district serving residents, businesses and visitors of our community. As a Main Street America™ Accredited program, Alberta Main Street is a recognized leading program among the national network of more than 1,200 neighborhoods and communities who share both a commitment to creating high-quality places and to building stronger communities through preservation-based economic development. All Main Street America™ Accredited programs meet a set of National Accreditation Standards of Performance as outlined by the National Main Street Center. On November 29, 2010, almost 100 people with a stake in the Alberta Street business district gathered at the Alberta Rose Theatre. The conversation was rich. What follows is the result of this meeting, mostly unedited. As we continue to seek input for the long term community vision, this document will remain organic and responsive to our community. We have retained and expanded diversity in our neighborhood, which is defined by culture, race, age, multi-generational, income, household type and sexual orientation. Our neighborhood has attracted more diversity by bringing a variety of people together. We have attracted regional and national attention for our progressive attitudes. We have developed set-asides for affordable housing in new residential developments on Alberta Street and helped to create living wage jobs in the district. We keep dollars in the community by shopping and working in the community. We explored partnership opportunities with other organizations to create a community center that is well used. Through outreach with key community leaders, we identified the people most likely to use a community center and educated our partners on the type of community center our neighborhood needed. 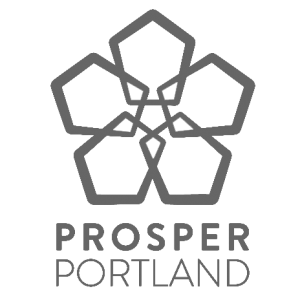 We maintained a successful mixed-use district, with residential, office, restaurant and retail space and created a commercial district that brings beauty and enjoyment to the nearby residents and visitors from Greater Portland. Alberta Street supports a good mix of businesses and nonprofits serving customers of all income levels. We have increased the diversity of goods and services available with new stores selling hardware, office supplies, and books. We also have a new credit union and businesses that add to the nightlife. Alberta Street is a regional draw for nearby neighborhoods (i.e. Sabin, Woodlawn, Humboldt) and beyond; these customers bring in outside dollars to the neighborhood. We used our room for development and new zoning tools to increase density, encourage excellent design, and keep commercial rents affordable so that people can shop locally. Our mixed-use district balances residential and commercial interests. We created strong and walkable commercial district making a safer neighborhood and providing opportunities for a healthy lifestyle. We have improved the public and environmental safety of our commercial district by creating green spaces, (i.e. bioswales, more street trees). We helped reform the municipal permitting process and also got private property owners committed to our goal of more green and safe space. We have a maintenance system in place for our improvements. Our clean district has adequate garbage recycling receptacles throughout it. Alberta Street is the core of a model 20-minute neighborhood that is walkable and bike-able. By providing advice on transportation issues, we have created safer traffic patterns. We have prioritized alternative modes of transportation over cars by encouraging more walking, biking and use of mass transit. We have achieved designation as an Eco District which means that we are resource self sufficient, especially around water and energy. We achieve social, economic, and environmental sustainability because we are a 20-minute neighborhood. We have food sustainability through activities such as farmers markets, local gardens, personal gardens, availability of local farm produce with food services using locally sourced products. We embody the idea of think globally, act locally. Alberta is known as a world-class arts district and is home to art and craft galleries, studios, workspaces and other arts and crafts businesses. Celebrations along Alberta Street are funky, frequent and friendly to the neighborhood. Our reputation for being the best funky neighborhood in Portland has grown in the past five years. We celebrate Alberta’s roots through photography, art, events, and other activities. We recognize that the history includes a significant African American heritage and Native American heritage. With a strong signature event, Last Thursday, organized by other leaders, Alberta Main Street has been able to create new events that celebrate our locally-owned stores and the strong commitment to the arts. Sometimes we close the street for special events. We have worked to create zoning compatible with our vision so that progressive property owners and developers could enhance our district. All of our buildings are attractive and colorful. We worked with police and other public safety officials to reduce crime. The partnership between the business community, residents and public safety officials has become a model for other neighborhoods. We have small businesses — no big corporate businesses — that provide goods and services needed by residents. Our local businesses work together as a network, for example, cross promotions and cooperative purchasing. • Strengthen volunteer outreach for Alberta Main Street committees and events, recruiting new volunteers of different races, ethnicities, ages, genders and sexual orientation. A Walk Down Main Street: A study in improving walkability. Alberta Streetscape Plan, 1999: Plan for transportation improvements that would improve the safety and visual quality of the street. The Public Art Recommendations: Our community’s desire to continue & enhance the grassroots art that has been created or commissioned by residents, business owners & property owners. Albina Community Plan, 1993: A comprehensive, realistic and coordinated strategy for building on the strengths of the neighborhoods in the Albina community.